Kodak, one of the pioneers of modern photography, could soon be on the receiving end of another potential cash-consuming lawsuit, if Apple receives approval to sue the company in a New York court over alleged patent infringement. Having already filed for bankruptcy in January and announcing last week that it would kill off its camera business to focus on its core products, Kodak now awaits a decision from a bankruptcy judge who may give Apple permission to file a patent complaint over technologies used in printers, digital cameras and digital picture frames. The kicker for Kodak? Printers and picture frames are exactly what the company has announced it will focus on following its restructuring. If the US Bankruptcy Court approves Apple’s request, the Cupertino-based company’s next stop is the International Trade Commission and the US District Court in Manhattan, where it will file lawsuits and seek a block on Kodak’s infringing products. Bloomberg reports that Kodak can ask the court to delay the district court case until the ITC makes it ruling, although Apple has said that it will commence with its action regardless. Kodak and Apple have fought over patents previously, with Apple asserting that it shared camera patents with Kodak. The ITC issued a split decision on ownership of the patents and now Apple is requesting that the case is transferred to the court in Manhattan. 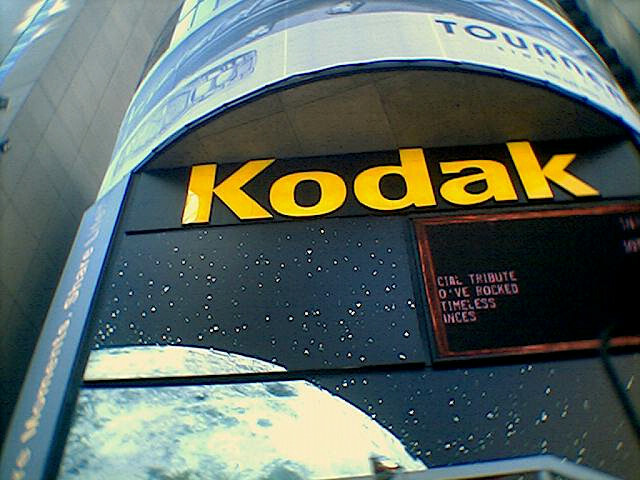 Kodak believes it will save more than $100 million in annual operating savings as a result of phasing-out its digital camera business — if Apple has its way, it will see the very products that Kodak is focusing on blocked from sale, if the ITC and New York courts agree.